Ken works with both buyers and sellers on all facets of residential and commercial real estate. With years of experience, he brings an expertise to the transaction that is unmatched in the area. A member of the GCAR Top Producers Round Table, Ken is a consistent top producer in the local market and brings a world of experience to the transaction and is known for his ability to work with clients in all price ranges. 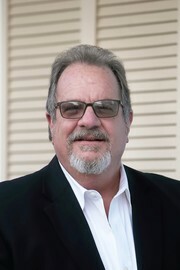 Ken holds a BS in Finance and has served as President of the Gulf Coast Association of Realtors and as the Southern Regional Vice President of the Mississippi Association of Realtors as well as the 2013 President of the Mississippi Association of Realtors. He was awarded the Gulf Coast Association of Realtor's "Spirit" award in 2004 and the "Realtor of the Year" award in 2009. In 2015 he was awarded the Gulf Coast Association of Realtors Hall of Fame Award. Additionally, Ken was honored as the State of Mississippi Realtor of the Year in 2009. He is Vice-Chairman of the Pass Christian Planning Commission, past President of the Pass Christian Chamber of Commerce, Vice President of Finance for Boys and Girls Clubs of the Gulf Coast and is Past Chair of the Pass Christian Boys and Girls Club Board. Ken serves as Treasurer of the Pass Christian Rotary Club. Ken was awarded the Pass Christian Outstanding Citizen award in January of 2018. In addition to actively listing and selling Real Estate, Ken in an instructor of Ethics, Agency Law, License Law and Property Law for the Mississippi Realtor Institute, Chairs the Gulf Coast Association's Professional Standards Committee and serves on both the Mississippi Association of Realtors and has served on the National Association of Realtors Professional Standards Committees. He currently serves on the NAR Insurance Committee and the Flood Insurance Sub Committee. In March of 2018, Ken was appointed by Mississippi Governor Phil Bryant to serve as Real Estate Commissioner for the Fourth Congressional District.